Madden 25 Next Gen, coming this Fall. 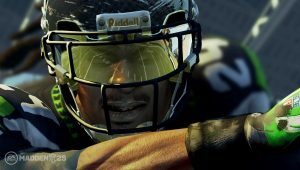 Today Electronic Arts Inc. (NASDAQ: EA) has officially announced Madden NFL 25 will be coming as a launch title for Xbox One® all-in-one games and entertainment system from Microsoft, and the PlayStation®4 computer entertainment system. Madden NFL 25, powered by the new EA SPORTS IGNITE engine, ushers in the next generation of sports games by delivering the smartest, most realistic, most detailed version of the game in the franchise’s 25 year history. 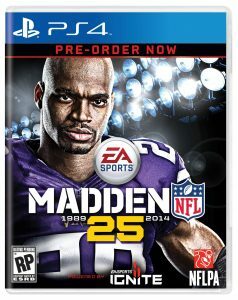 Coupled with this announcement is the introduction of Adrian Peterson as the cover athlete for Madden NFL 25 on Xbox One and PlayStation 4. 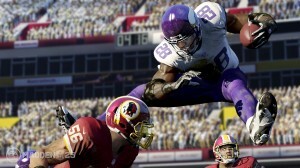 Peterson, the Minnesota Vikings running back, is a five-time Pro Bowler and the reigning NFL MVP. 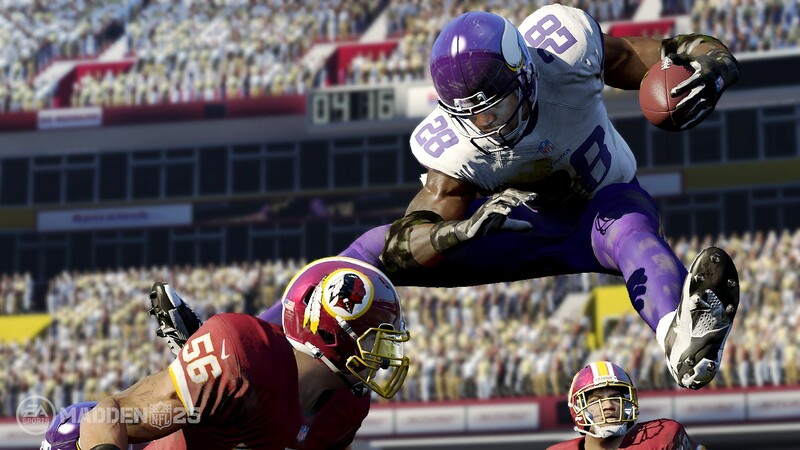 Last season Peterson came within 9 yards of breaking the NFL single-season rushing record set by Eric Dickerson. 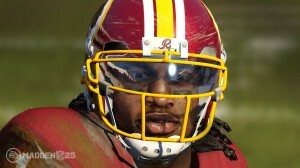 Madden NFL has never looked so real. See every nuance of a player’s face, equipment, and clothing as the line blurs between the players in the game and their real-life counterparts. Up to 4x the texture resolution breathes new life into stadiums, crowds, the field, and even the ball itself. Combined with high-fidelity animations that deliver the smoothest, most authentic looking player interactions ever, Madden NFL 25 delivers Next Definition visuals. The all-new True Step player motion system calculates every step, delivering unprecedented control. Players now have the ability to foot-plant, cut, and shift momentum in an authentic way, unlocking the agility and explosiveness of the NFL athlete. 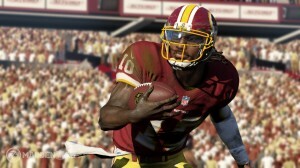 EA SPORTS IGNITE run-time physics calculate at twice the rate allowing for the most organic, user-driven outcomes in franchise history. Combined with the precision modifier’s vast combination of ball carrier moves, Madden NFL has never felt this good. 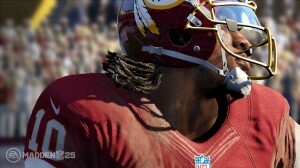 All-new Player Sense unlocks the human element in Madden NFL. For the first time, players scan the field, anticipate situations before they happen, and maneuver with instincts and awareness. The ability to make up to 50x as many contextual decisions brings intelligent ball-carriers and defenders to life, as they sense obstacles and react on the fly. Ball-carriers leap over fallen players, blitzing linebackers slide past teammates on their way to the QB and so much more, combining the physical aspects of football with the mental. 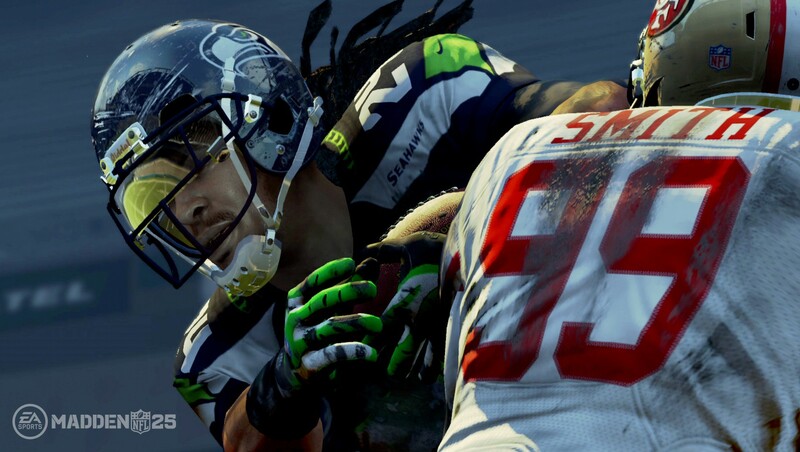 Offensive and defensive line play is at the heart of football, and now it’s the foundation of Madden NFL 25. Lineman are more than just physical, they are intelligent. Coupled with the ability to make 4x more decisions per second, 300 new blocking interactions create the most realistic running lanes for the ball-carrier and passing pockets for the QB. Offensive lineman will dynamically sort and shift assignments based on threats and angles, starting with intelligently identifying the center of the defense, the “Mike” linebacker. The defensive side of the ball features over 3x more new defensive line moves, as well as the latest blitz packages. 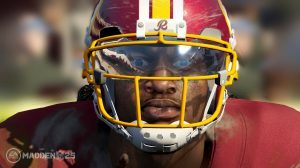 Authentic double teams, blitz pick-ups, and line shifts showcase units working together as one, highlighting the most physical and intense battles in the NFL. Welcome to the War in the Trenches. The NFL is so much more than just what happens between the lines. It’s the crowds, sidelines, and commentary that truly bring the emotion of Sunday to life. In Madden NFL 25, feel the anxiety of the crowd as you step up to the line on 4th and goal. 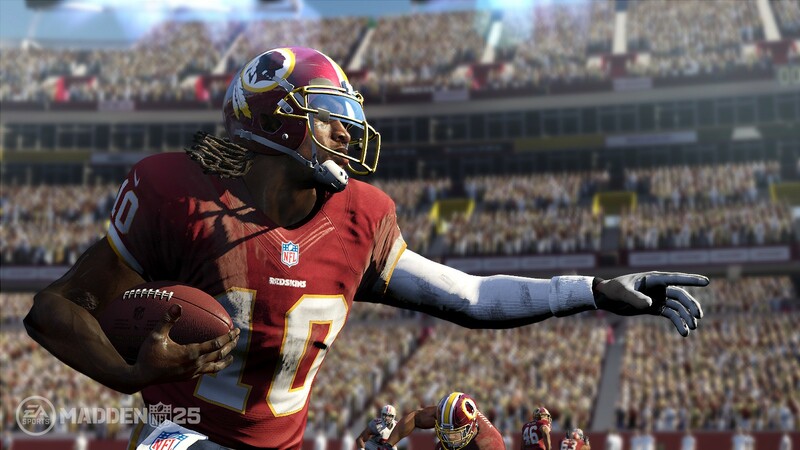 Watch your teammates and coaches erupt with excitement as you blaze down the sideline for a game-changing score. Hear the most intelligent commentary in franchise history, as Jim Nantz, Phil Simms and our new sideline reporter Danielle Bellini follow everything about your career. From injuries to accolades they’ll bring your career to life like never before.